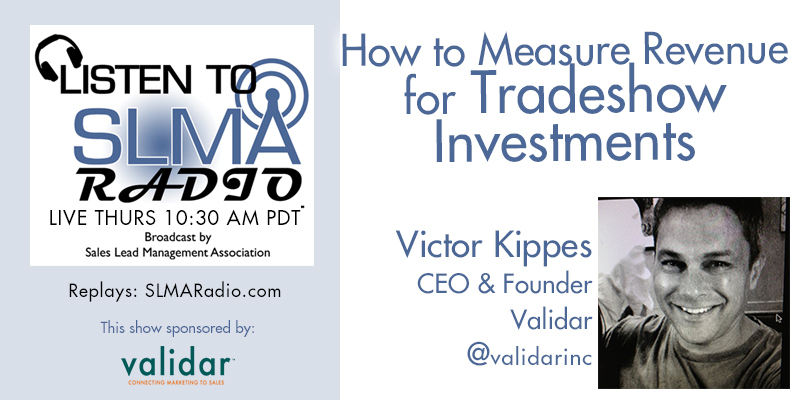 Everyone, yes everyone, knows that trade show leads close faster than any other type of lead (fewer steps in less time). With the fixed cost of a trade show going in, the challenge is how an average company can get the maximum number of qualified leads. Double the number of qualified leads, (which reduces your lead cost in half) and you will increase sales by 100%. 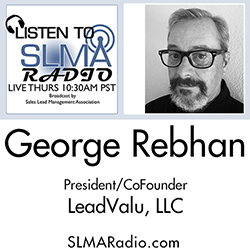 Sounds farfetched but not really; our guest George Rebhan of LeadValu will tell us how to do it. The host is Jim Obermayer. When asked what they want from marketing, sales reps usual ask for more qualified leads. 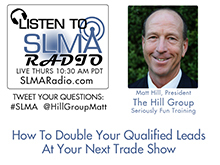 In this program Matt Hill of the Hill Group tells us how to create double the qualified loads at trade shows. Hill ,who says his company has trained over 60,000 sales reps, says it doesn’t cost more to the create better leads, just reps that are willing to learn. 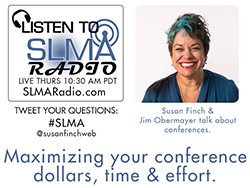 The host this week is Jim Obermayer. How to attract more visitors to your booth. How to have more conversations with qualified visitors. How to politely disengage from conversations. Three things your booth staff should be doing. Three things your booth staff should stop doing. How to decide if a visitor is qualified or not. This is Matt Hill’s 26th year of providing exhibit staff training. He has trained over 60,000 exhibit staff personnel from around the world. Some of his clients include Microsoft, GE, Toshiba Medical Systems, Intel, Hewlett-Packard, Medtronic, Apple, and the U.S. Department of Commerce. Matt has published three books about working in a trade show environment. 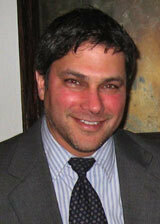 He is a career salesperson with over 30 years of experience. He started as a factory rep for Playskool toys, then he was at Xerox selling engineering products and then with his own company, The Hill Group for the past 26 years. He holds a BA degree in psychology from California State University, Northridge. His company, The Hill Group, is focused in three areas: Training corporate personnel to work in their own trade show booth (Exhibit Staff Training Workshop); training presenters (Presenter Development Workshop); and helping managers work with their younger employees (Managing the Millennial Generation). 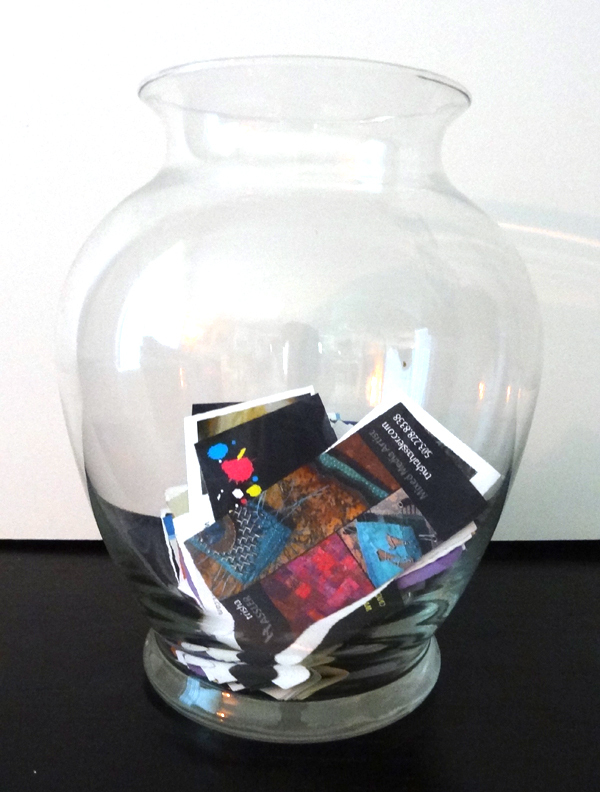 Sept 6: Get rid of the business card fishbowl for small shows! Major trade shows and events provide lead collection and qualification technology that enables exhibitors to quickly determine where and how to spend their lead follow-up dollars. However, the thousands of small businesses that rely on events without such technology still use fishbowls to collect business cards that make follow-up a nightmare. Working together, Event Technologies and Calvert Creative have embarked on a mission to bring large event lead collection and follow-up to the small business owners who rely on small events and expos to market their products. Their first offerings were introduced at the American Chamber of Commerce Executives Conference held in August 2012 in Louisville, KY. Event Technologies of Long Beach, CA is a full service provider of lead management solutions for trade show exhibitors utilizing Internet based products developed by TPC Inc. of Chapel Hill, NC. 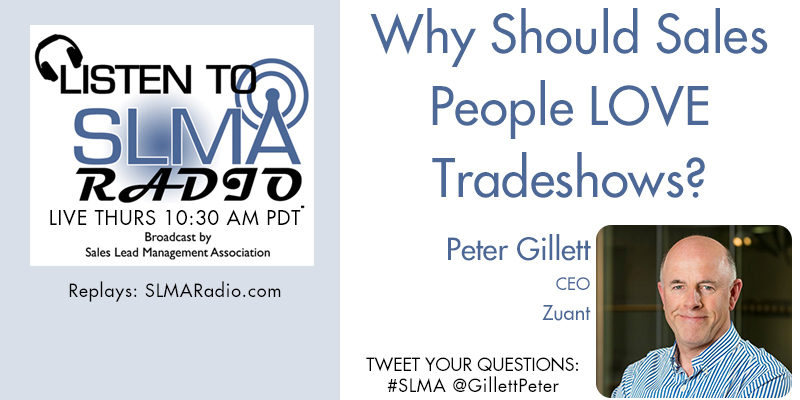 Fred Tremblay, VP Development at Event Technologies and President of TPC Inc., along with Jeff Tippett, Director of Calvert Creative will discuss the problems with small business lead follow-up and their efforts to help solve them.